Year end charts are in…and "Even If" by MercyMe was the #1 most played song of 2017 according to both Billboard (BDS) and Mediabase (All Access/USA Today)! In addition, MercyMe was the most played artist on Christian radio in 2017 according to Mediabase (All Access/USA Today). With 19 weeks at #1, three Dove Awards, an American Music Award Nomination, and two GRAMMY nominations…you can say last year was a good one for MercyMe. We can’t thank radio enough for your incredible support! You ready for what’s next?!? 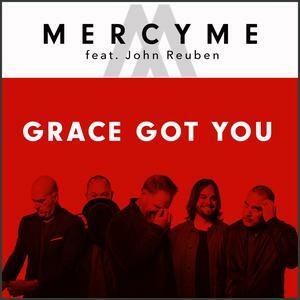 MercyMe and Fair Trade are proud to present "Grace Got You" – impacting AC / Hot AC / Soft AC March 2!